Spacious with central heat and air. Preleasing for fall 2018 –We have availability for a 10-month lease at the North Park apartments at the special price of just $495 a month. Are you a nursing student? 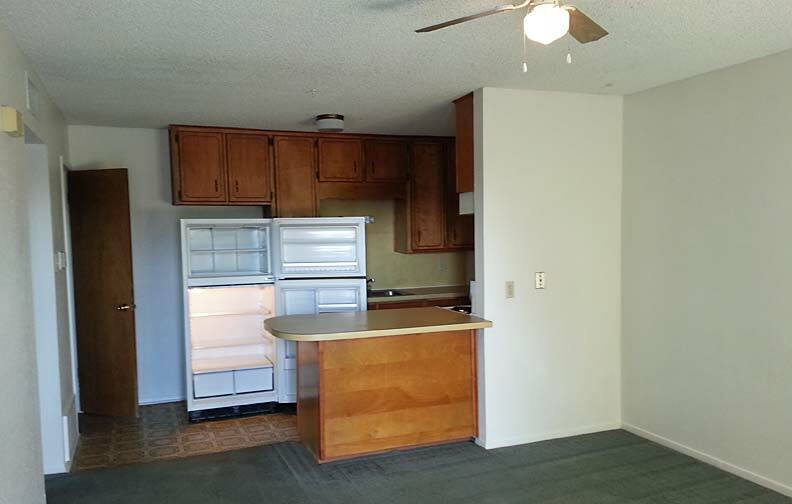 This is the closest privately owned apartments near your college. Walk to class and forget about the hassles of parking. We pay sewer water and garbage. The apartment is all electric with central heat and air. Enjoy the nice kitchen with its four-burn stove and oven and full sized fridge. This is a fully self-contained apartment where you only share the parking lot. It’s all your own kitchen, bathroom, living room and of course bedroom. Mention this ad for a $495 rental rate and we will waive the application fee. Hurry and get your reservation in because we anticipate an owner price increase. Deposit of 1/2 months rent will reserve apartment until August 1, 2018. Check out the floor plan below. 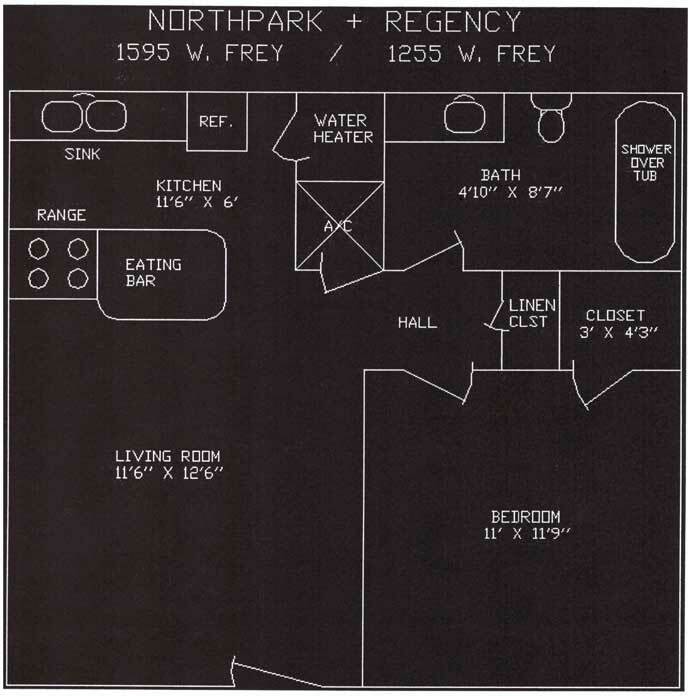 Regency and North Park share the same floor plans.